Keeping in view the uniqueness of the region both in terms of climate as well as diversity, the Autonomous Hill Council of Ladakh is taking steps to promote organic farming and preserve its rich socio-cultural, and biological diversity. […] Biodiverse organic sustainable climate resilient Himalaya will promote sustainable livelihoods for the youth and help provide a sense of rootedness. […] Today, 6th August 2018, Ladakh Autonomous Hill Council joins hands with the government of Sikkim, Navdanya and LEHO in Mission Organic Himalaya 2030 to conserve biodiversity, create climate resilience and renew the realtionship with the earth and all species in accordance with our ancient cultures which are also cultures of the future. This transition will also contribute to SDG goal for 2030. Ladakh, a high altitude desert where communities have evolved a sophisticated earth friendly culture and a prosperous biodiverse agriculture. Navdanya has been working with the local women communities of Ladakh for the last two decades on seeds, biodiversity and saving the local Food Heritage. Come join us on a unique journey to visit one of the most beautiful mountain deserts in the world, & learn about treading lightly & delicately on the earth in our rapidly globalising world. 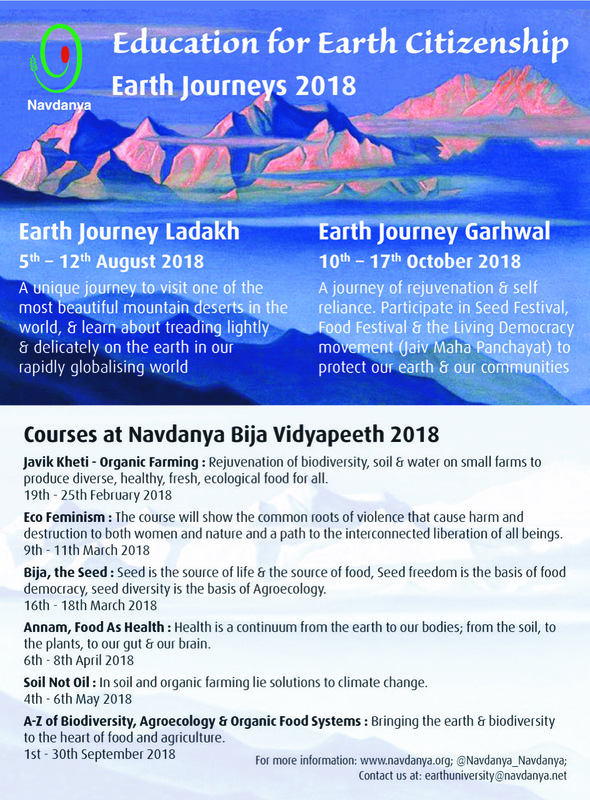 Join us to be a part of a beautiful culture and tradition and celebrate Seed Festival and Food festival in India with Navdanya’s earth Journey to Ladakh. 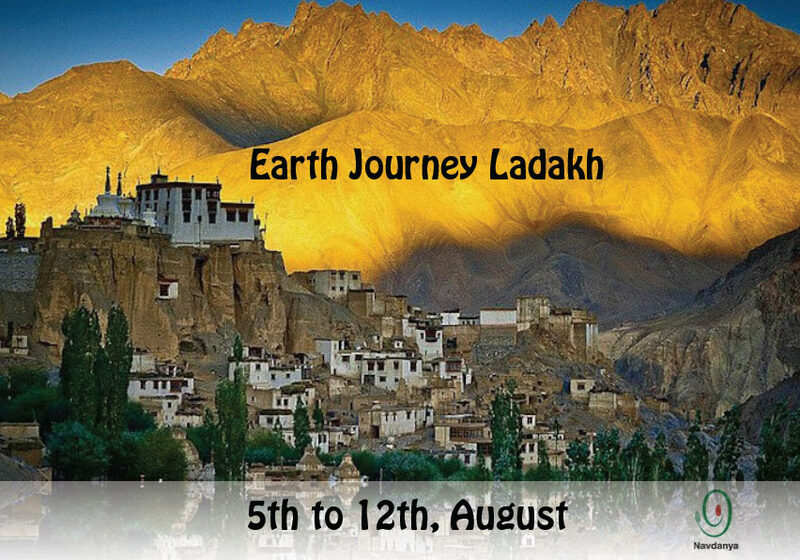 No Comments to "Earth Journey to Ladakh"